Renowned interviewer of celebrities and musicians, and a favourite of Snoop Dogg and Pharrell Williams, Nardwuar the Human Serviette suffered a stroke on Saturday night at the Mint Records Christmas party in Vancouver. 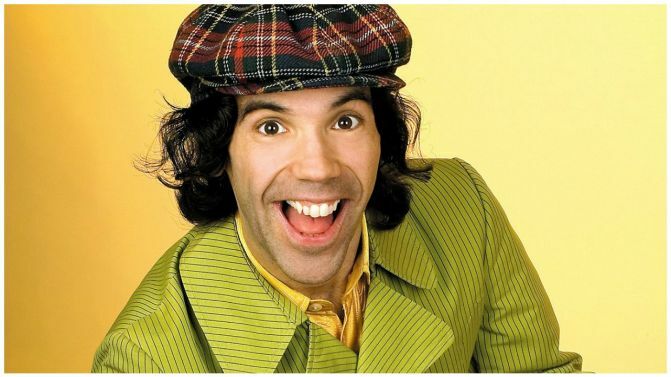 This is not the first time that Nardwuar has been hospitalised for neurological issues, suffering a cerebral haemorrhage in 1999, but recovering after surgery. Known for his often grating and confusing interview style as well as extensive research and giving interviewees rare and hard to find gifts relating to their career, celebrities such as Pharrell Williams and others have taken to social media to give their support to Nardwuar. Pharrell has been a big supporter of Nardwuar ever since the interviewer wowed him with his extensive research for an interview back in 2008. While there is no news yet on whether the stroke will affect Nardwuar continuing to interview celebrities, you can see other messages of support as well as watch the now famous interview with Pharrell here below.